QuickBooks Online 101 – Let’s Get Started! P.I.E., Inc. offers individual, one-to-one classes at your location, specifically customized for your company’s needs. QuickBooks is designed to handle the bookkeeping task, to expedite matters, and to generate reports for internal and external users. Setting up your company in QuickBooks can feel overwhelming. With a little help from P.I.E. Inc., luckily, you don’t need a financial background to set-up QuickBooks. The key to achieve a successful and smooth set-up in QuickBooks is getting off to a good start. At P.I.E. Inc.’s, “QuickBooks Set-up – Let’s Get Started” course, you will establish your QuickBooks Online (QBO) company information properly to save time and money in the long run. 1. QuickBooks Online Version – Identify and select the appropriate QBO version based your firm’s entity and industry. 2. Company information – This section will promote your firm’s branding for reports and contact information for your clients and external users. 3. Charts of Accounts including beginning balances – The chart of accounts is the backbone of your financial structure. 4. Products/Services – Establish your products/services that you provide for your clients and map them to the appropriate accounts. 5. Bank/Credit Card connection – One of best features is the ability to download your business transaction from your bank/credit card to QBO. 6. Customize clients’ invoices and statements – You will be able to customize your client’s invoices and other documents. 7. Manage users – Add your CPA and bookkeeper as users. Plus, as your firm grows, you can include your staff. 8. Merchant services – Get paid faster and easier by ACH and/or credit cards. All classes are led by Laurette Clash, an Advanced Certified QuickBooks ProAdvisor and a financial professional with an accounting/bookkeeping background. The class is for both PC and MAC users. 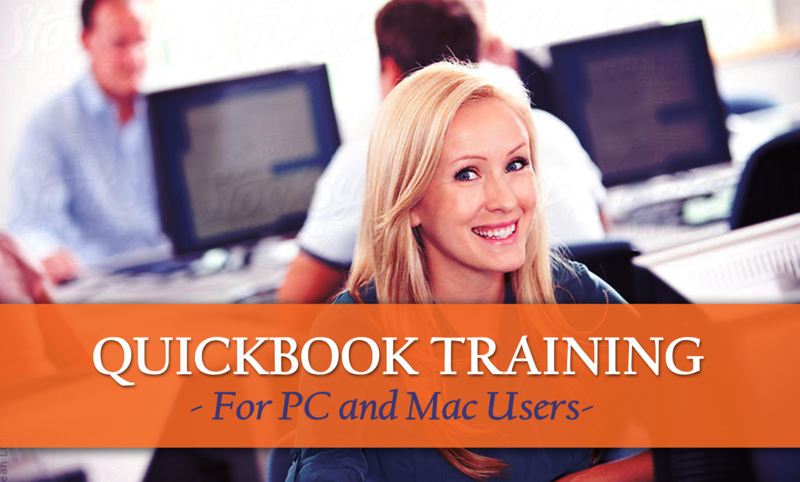 Please fill out a contact form at the bottom of this page to request QuickBooks Set-up Training, or call 626.460.0338. We’ll follow up and schedule a convenient time for you at your location. We also teach one-to-one and group bookkeeping classes. Fill out the contact form below or call 626.460.0338 for more information. Serving Los Angeles County including the San Gabriel Valley, San Fernando Valley and the Westside. We would love to answer any questions or schedule a meeting. Please feel free to call us at 626.460.0338 or send us an email using the form below.